After years of fighting Manor Court Road was finally constructed and the creation of a middle class area could become a reality. The Abbey Green half of Manor Court Road was still owned by James Tomkinson and as with other parts of his land they were filled with high density houses, mainly terraced giving him a 'good' price for the land. Reginald who had purchased land from him had an idea, he wanted his home in the area and to be surrounded by Nuneaton's finest. So he set about building some amazing properties. Below is a map of the area in 1902, Ive gathered information on the residents and will add one each week. Since this is a website about Reginald Stanley it make sense to write a bit about him, well, I'll write a bit about his house on Manor Court Road. Reginald's business associate and local land owner James Tomkinson had agreed to sell part of his estate around Abbey Green and as you can see houses were springing up along the newly formed road. Now it was time for Reginald's own home. It was to be set in six acres, close to the barpool brook that ran past the house (above), next to the ancient Abbey Priory. Around 1893, Frederick J Yates set about drawing up plans for the home. The brief, I'm sure, would have been to include Stanley Bros finest terracotta products. Another of Reginald's business friends was Thomas Smith, he had the task of making this place a reality. 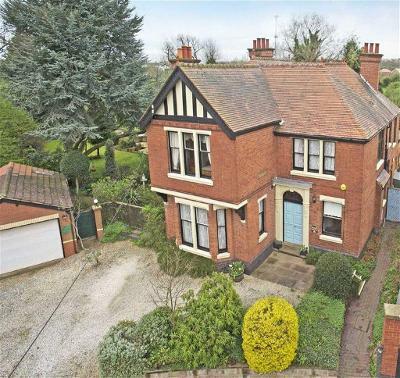 By late 1894 this magnificent twelve bedroom home was built, complete with coach stables. The garden's weren't missing out, they had been planted with oak, elm, birch and various other trees. It was a animals paradise and a great place for the Stanley family to unwind or to enjoy a game of tennis if they pleased. Below is an example of the excellent terracotta products used at Manor Court, left is the front door to the care home in 2015, you can just make it out on the photo of the house above aswell. 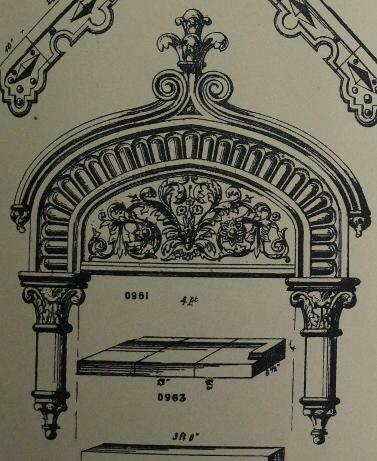 The ornamental foliated head and terminal around the door was in the Stanley Bros catalogue of 1896 (right), No0961 and cost 160s. In 2015 it would put you back close to £900 and was one of the top priced products in the book. Its a shame it has lost its finial otherwise this looks just as good as it did all those years ago. Some more of Stanley Bros terracotta is on show across the front of the house, as you come down the drive the ornamental piece is just above and left of the front door (right and below). It isn't as expensive at just 25 shillings (£137) but is still full of great detail if not a little lonely up there. The original metal pipework has been changed on the photo below, it used to have Nuneaton Engineering metal work all around. Stanley out-houses also got the terracotta treatment. The stable house had a nice motif over the door. It has been mentioned that the horses head (below) was styled on Reginald's own horse. The Stanley's also had various servants to help keep this huge home. Kathleen Elliot spent over ten years as his trusty cook, along with Rose Lee and Edith Garrett who were parlour and house maids during the Manor Court days. Once inside Manor Court the grandeur didn't stop there. Many of its guests would have been amazed by its spectacular entrance. 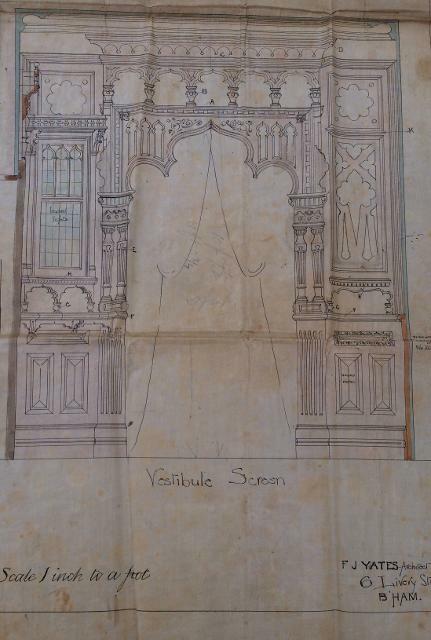 Here one of the internal plans drawn up by FJ Yates (right). This shows the vestibule and what a superb entrance it was, the detail and quality was giving a real statement to Reginald's business associates as they entered the house. There is a note as well from the builder Thomas Smith (below). I can only make out R Stanley and the date Oct 1st 1894. Years later when Reginald's health deteriorated, he moved out to one of the houses across the road in Lansdowne Terrace. Manor Court stood empty for a few years. During those years to help pay for debts an auction took place during April 1910 to sell household furniture (left), everything had to go. On his death Miss Annette Stanley eventually sold the house for a reportedly £980 (£100,000 in 2015) to pay off spiralling debts he had amounted. George Helps was the lucky buyer and he took up residents soon after. Richard H Bates was another of Reginald Stanley's key workers and his arrival brought about a new era in the brick production in Nuneaton. Richard was from Deepcar, near Sheffield born in the year 1878. His father John Charles Bates originally from Bewdley, Worcestershire. He was a brick maker and had built up a very good reputation, so much so he had his own business in Hepworth near Sheffield where he had made his home for a number of years. Richard was the youngest member of the family and was always going to follow his father in the brick business. His older step brother Daniel Blackham was already a brick setter and was primed to take over from his father when he decided to call it a day. By the time the 20th century had rolled by Stanley Bros were a major force in the Midlands Brick manufacturing and had an extensive catalogue. J.C.Bates in Hazlehead, was making glazed brick and Reginald wanted a perfectly glazed brick consistency. My thoughts are the Richard Train his new brickyard manager who had come from might have mentioned the company to Reginald and the Directors, so they approached John, Daniel and Richard to help. The Stanley Bros drew up a contract for them to bring with them the secret recipe for their top quality glazed bricks. Below is a copy of the said agreement which contracted Richard to spend the next TEN years working for Stanley Brothers. He was not to divulge the recipes or trade secret at any cost to anyone that is how valuable they were to the company. 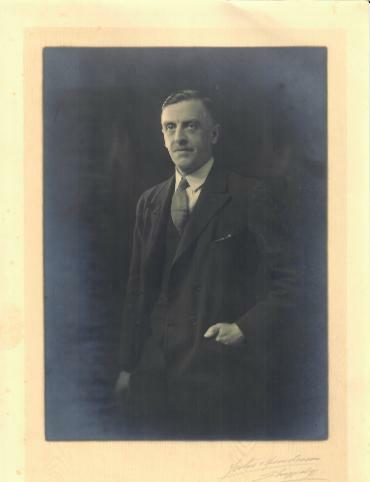 Francis Wesley Broadbent was the son of Benjamin (business partner in the early years of Stanley Bros) and Susan Jenkin Broadbent (Reginald's sister), born in Leicester 1868. His early life was spent at 78 Regent Street very close to the city centre, before being sent away to boarding school at Brighton Grammar School (below) at a young age. Luckily he had his older brother Reginald with him for company. Having finished school, his studying took him to Edinburgh, as a medical student, living at 58 Lauriston Place. Francis was dedicated to his new profession earning a Fellowship of the Royal College of Surgeons (FRCS) also the title of Master of Surgery (M.S) and Bachelor of Medicine (M.B) after successfully passing his exam's. I assume while working in London he met his wife Theodora Reuss and they married in Kensington 1898. After all his hard work at becoming a fully qualified doctor he was approached by his uncle Reginald. He needed someone to come in and run the brickyard. This offer was too good to turn down, next stop Nuneaton. Francis moved into Manor Court Road and Lansdowne Terrace, a luxurious row of nine houses, across from Reginald (below in the 1990's) became their new home, along with a couple of new additions to the family, Marcus Reuss and in 1902, a daughter Rachel. Francis had become Reginald's right hand man, he was an intelligent and approachable man and I think was earmarked to take over the reigns of the company when Reginald was ready to take a step back. Part of his duties were to report at the board meetings, keeping them up to date with the working of the yard (below), making some tough decision's. Some of those included making Mr G Beck redundant and cutting production when tough times hit the building trade. He was also involved in Nuneaton Engineering Company another one of Reginald's ventures. He was named as assistant to the principal in the 1902 coronation booklet by F.R.Jones. 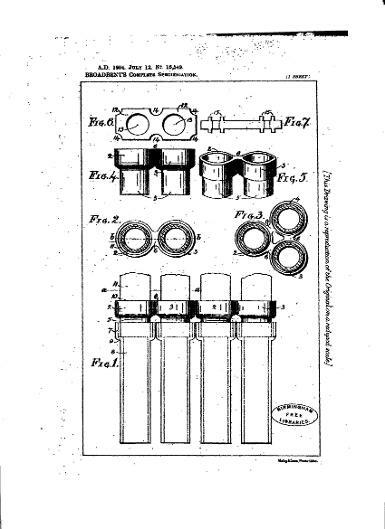 This invention consists of means for enabling pipes, conduits, chimney pots, channels and other like goods to be set in the kiln or oven in such a manner that they do not lounge, reel or fall, in the process of being burnt or dried, but remain standing on end one above another in upright columns (provided the goods are sufficiently strong to bear each others weight), the practical result being that a greater number of such articles can be burnt or dried at one time in the kiln or oven and there are fewer wastes in proportion than heretofore. The aforesaid means consists of an article preferably moulded from fire-clay, and combining some of the features of a sagger and a bond, being essentially made for either two or three columns or more if desired, and hereinafter conveniently termed a "bond". By 1908, things had taken a turn for the worst. Reginald's control of Stanley Bros was under pressure due to his financial troubles. There were times when Francis stood his uncles corner, but with no reason for him to be in the meetings, apart from reporting on the Brickyard, he was ordered to leave by the newly formed board. He only ever had the good of the company in his mind and so he carried on the job with his usual commitment. 1914 saw the death of Reginald and soon after in 1915 he lost his brother Stanley Broadbent. He was finding it harder to impose his views on the board as his closes allies were disappearing. Francis approached the board asking for a rise in his salary and was met with a negative response, so with a heavy heart he handed in his notice which the board accepted. below is the reply they sent to Francis. The Directors received your letter just as they were finishing up the details of their meeting. It was duly considered as evidently require an immediate reply. The Board regret very much that under present circumstances they cannot see their way to increase your salary and are therefore compelled to accept your resignation. They will give you as you request every reasonable facility to enable you to get any other appointment you may have in view and trust you will be entirely successful in that object. He cut his ties with Stanley Bros and headed for London, buying one of the largest medical practices in South West London. Most men on reaching his age were winding down, but his desire to help others mean't that wasn't an option, having been known to work past midnight and into the early hours for his patients. Francis carried on his practice for nearly two years until it proved too much and in his own words 'work and worry had transformed what might have been a functional and transient derangement into malignant disease'. His funeral took place on the 20th April 1918 at Wandsworth Cemetery, employees from Stanley Bros were present to show their last respects. Dr Broadbent only spent a short space of time in Nuneaton but it should have been longer and would have been had things been different, but his commitment to Stanley Bros and the brickyard was never in doubt during his time in charge. As you drive down Manor Court Road the house with the turret on the corner has always caught my eye. So to find out the story behind this house was always going to be enjoyable. I had read about an Albert West, who worked for Mr Stanley as his driver and gardener. Reginald had a house built for him and as my research revealed it was this house. Albert was born in Chapel End to Rose a woollen scarf weaver and her husband William, a stone quarryman, in 1870. By the 1881 census the family now containing six (two brothers and one sister) had moved to Nuneaton and Abbey Street, Court No 21. In 1885 Albert's father passed away aged just 49 (to date I don't know why). His mother had remarried Cresswell Baraclough a lawyer from Birmingham within a year of his death and they had all moved into number 36 Abbey Street with him. Rose must have been left in a tough position with four kids to look after, living in the courts behind Abbey Street weren't a place of wealth, so she needed to act fast to save them from the workhouse. Aged 21, Albert was employed as a gardener and I'm not sure if this was with the Stanley family at this point. In 1893 Reginald was planning to build a house for what was going to be his driver and servant opposite Manor Court. 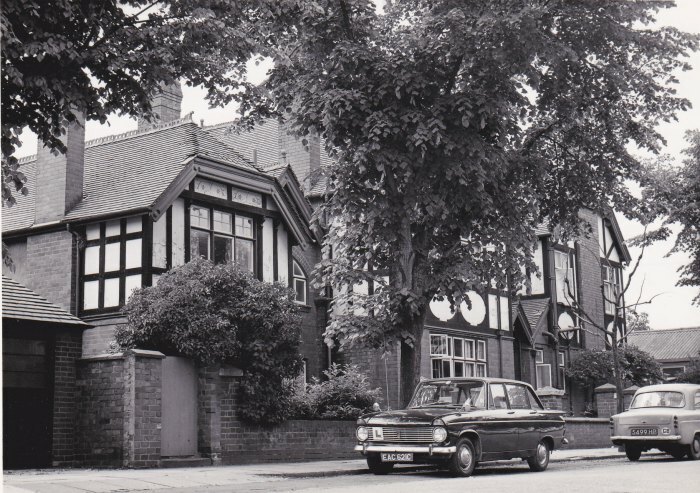 It was to be called the 'Coachman's Cottage', on the corner of Duke Street and Manor Court Road. I managed to find the original plans at the County Records Office (above) and would like to thank them for their help searching through unchecked plans from Nuneaton. It was designed by Reg's architect FJ Yates and has quite a few of his recognisable features. Albert must have been like a dog with a bone. What a place to have, after coming from the back yards of Abbey Street. He married in 1893, moving into his superb home with a lovely wife. Albert was always on hand to drive Mr Stanley to and from various business meetings in what would have been one of the first motor cars in Nuneaton. His job title while in the families employment was coachman and under-gardener, working with George Bradford the head gardener who again lived close by in Manor Court Avenue. Manor Court Road with the coachman's cottage behind the young Victorian girl. In the distance you can see a horse and cart waiting for it's ride. For reason's unknown, Albert decided his future lay away from the Stanley Family. By 1911 he had a new job and home, working as the cemetery caretaker in Oaston Road, living in Cemetery House along with his wife and five children Sissie, Reginald, Albert R, Frederick and William. He must have over seen the burial of Reginald in 1914 surely an emotional time, after his master gave him a helping hand in those early years. 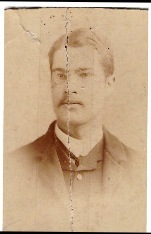 Dr Edward Noel Nason, was a well respected name in Victorian Nuneaton. His dedication to the welfare of local people left a long lasting impression on this town and a ward at the George Elliot Hospital was named after him. His grandfather Edward Nason Snr and his father Richard Bird Nason were both Doctors, so it was in his blood to follow in their footsteps. Terracotta art work on the ground floor of Mardale on Manor Court Road supplied by Nuneaton Library. 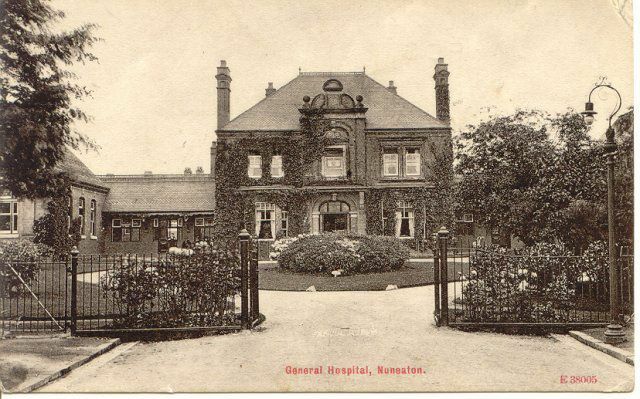 Edward Noel Nason was born in Nuneaton on 25th December 1860, his father Richard Bird Nason was a respected General Practitioner and they lived on Bridge Street during his early years. By the census of 1881, the family had moved to 41 Abbey Street and were an integral part of the community serving this highly populated area of town from their surgery attached to the house. Edward studied hard to become a physician. He went to Shrewsbury School and Cambridge's 'Downing' College, eventually taking up a position as a surgical officer at the General Hospital in Birmingham, as well as working in London and Norwich. Edward married Alice Maud George the daughter of an Army Officer, James George, in West Kensington, London at St Andrews 1889. Edward and Alice had four children. Kathleen, Stephen, Edward R and Alice. Before they moved to Manor Court Road in 1896 they lived in Abbey Street at number 80. The town was in need of a Hospital and several attempts had been made to start up the venture but to no avail. Edward was going to make sure this happened, he set up the committee to get the fundraising moving involving Reginald and a few other notable names of the town. 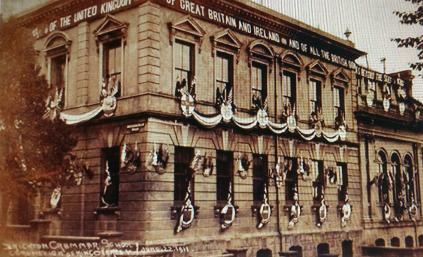 He also became Hon Secretary when it opened in 1893. To read more about the Cottage Hospital as it was known click on the link here . Edward lived at 123 Manor Court Road till his death, fittingly he passed away in the Manor Hospital on the 18th December 1943. The house later passed into the hands of the NHS and staff used it as dorm's. A great legacy was left behind by this man, he worked tirelessly to better the health of Nuneaton's townsfolk and I'm so glad his house is still here, with virtually all its original features in place. The name Richard Train came up very early on in my research of Reginald and its wasn't just to do with his business. Born in Gornal, Staffordshire 1847. His father Thomas was a Iron miner, his mother Naomi, passed away when Richard was only 5, aged just 31 years old. I assume that the family left the area soon after losing their wife and mother, heading north and a small hamlet called Crow Edge in Yorkshire. The pair found themselves jobs at the local Iron Works, Thomas continued his mining while Richard had secured a job as a clerk. Having settled in to their new surroundings, the young man found love and married a local lady by the name of Elizabeth Knutton, on the 29th March 1869 at the local Parish Church. Not being content with his new wife and job, Richard worked hard to better himself and by the 1881 census he had secured a promotion and the responsibility of managing the brickwork's. 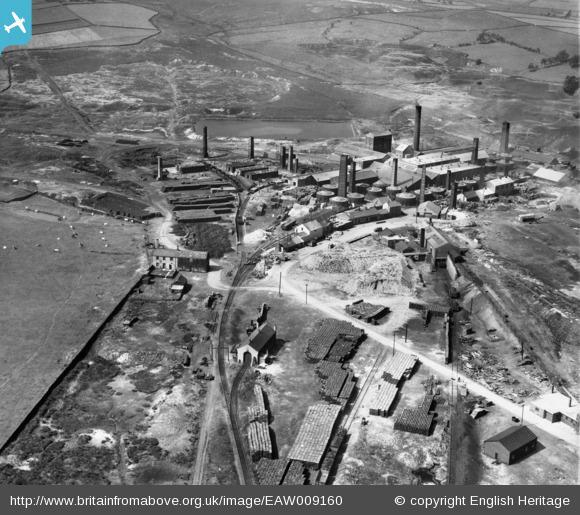 A photo of Hepworth Iron Works, Crow Edge in 1947. Thomas and Richard I'm guessing worked here as it was the only Iron works so close. On the left is the Brickwork's and the right is the Iron foundry. Pictures thanks to Britain from Above website. Highthorn Villa's on Manor Court Road today what looks like the early 20th century, home to Richard Train and his wife Elizabeth for around 20 years. In the early years there was no house to the left of this picture just a nice big garden and a view over to his boss Reginald Stanley's home. The next time we hear of Richard, he and his wife have moved to Nuneaton after the death of his Father and had the envious position as Stanley Bros Brickyard Manager. The position came with a nice house next door to Mr Stanley, although its not quite next door. If you look at the map above its a fair distance away. Highthorn Villa's (above), was an early addition to Manor Court Road. They are quite understated compared to other's, but still have a small amount of ornate brickwork on them. My visit to the county records didn't unearth anything on these homes, luckily though they still stand today, missing the bombing of WWII. Immersing himself into the local community seemed natural to him and was involved in various group's. 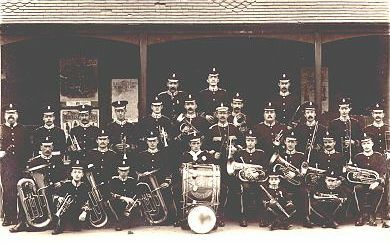 He was a Methodist and a keen musician, he led the local Nuneaton Excelsior Band (below), most notable at the opening of the Manor Hospital in 1893. He was photographed (left) in 1902 as part of Stanley Bros Brickyard Officials for the Coronation Booklet produced. 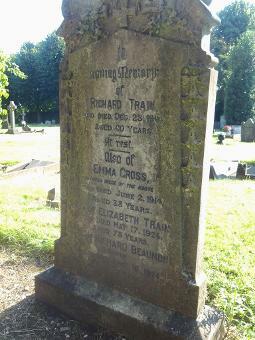 At the age of 60, Richard sadly passed away leaving his wife and a son Richard Beaumont who they had adopted, I spotted his grave not far from Reginald's in Oaston Road Cemetery (below). 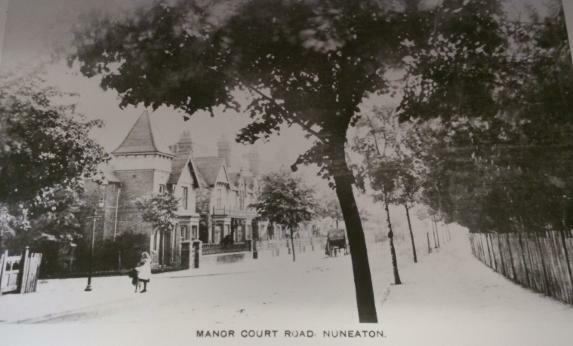 Elizabeth stayed in Nuneaton and Manor Court Road living on her own means until she was re-united with Richard in 1924. A lovely photo of Frederick, thanks to a family member who got in contact with me through the Facebook. I'm not going to go into great detail on Frederick, you can check out his background on 'Stanley's Sidekicks' page link here. He was an influential man during his short time in Nuneaton, helping secure the jobs of hundreds of town folk at the newly sunk 'Nuneaton Colliery'. Not only did he find work for the masses, he married Reginald's niece Margaret Hurn Stanley and spent his early married life in Manor Court Road (below). No sooner had he settled down in this leafy suburb, he was off again on his next project in Staffordshire. 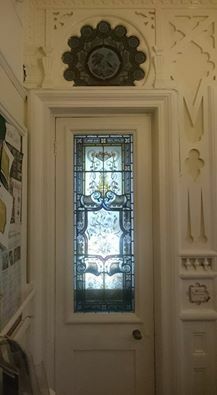 Today the house is now a dentist's surgery, keeping all its original features and still some of its elegant art and craft decorated windows. Frederick's house on Manor Court Road has some really nice metal work around the windows, along with some great glass designs. George Bradford was born in Sibson, Leicestershire in 1853 and lived with his parents Richard and Mary, along with elder sister Elizabeth who worked as a house servant. Richard worked as a argicultural labourer finding work anywhere within the local area. They were known to pack up and move but the Bradford's seemed to have a regular income off the local farms. George during his teenage years, doesn't show up on the 1871 census, (maybe he was taking a year out being 18 and travelling the world), but by the 1891 census, he was married to Mary J Sharp (1881) with three young daughters and had found a vocation working as a Gardener. Not quite following in his fathers footsteps but very close. I got a message from a young man to tell me he had found this and would I be interested in some plans, after inspection I realised it read Gardeners Cottage. Thanks to the George Eliot Historical Collection and Nuneaton Memories for lending these. 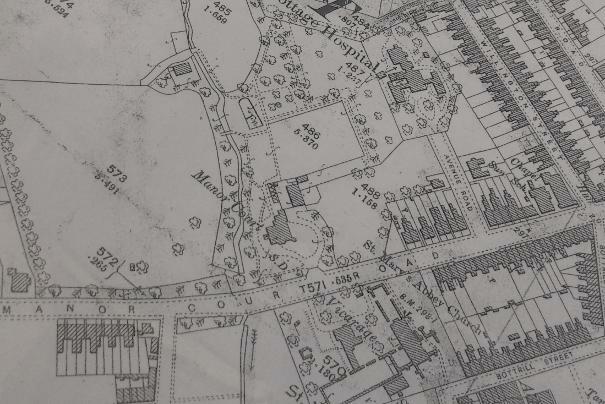 In 1894, Reginald was busy designing his own area of Nuneaton and Manor Court Road was taking shape. The Manor Hospital was built in 1893 and Manor Court was in the process of being built, surrounded by an idyllic garden with a lovely stream. He needed someone to nurture and tend to his project and that man was going to be George. The cottage was built close by in Hospital Road later known as Manor Court Avenue (see above and below), rightly named Gardeners Cottage by his trusty architect F.J Yates. The family moved in and George set about his task, spending many years tending to Mr Stanley's pride and joy an amazing size garden to look after (see below). By 1911, George and Mary had moved out of this fine house, possibly due to the fact Reginald had been taken ill just a few years before and was selling off property and land to pay for his losses. They stayed in Nuneaton and were not far away living at 55 St Mary's Road and still as a gardener (was it still at Manor Court I wonder?). I'm undecided on whether Herbert E Greatrex was a friend or foe to Reginald, due to him taking over as company secretary when things got a little unsavory at Stanley Bros in 1908/09. He lived on Manor Court Road, so I'll give you a little bit of background on the gentleman. Born in Dudley, Worcestershire 1865, he lived in Banbury during his early years with Father Herbert Everton Snr and Mother Sophia. He started work at an early age and by 15 was employed as a clerk possibly involving money as you'll see later. 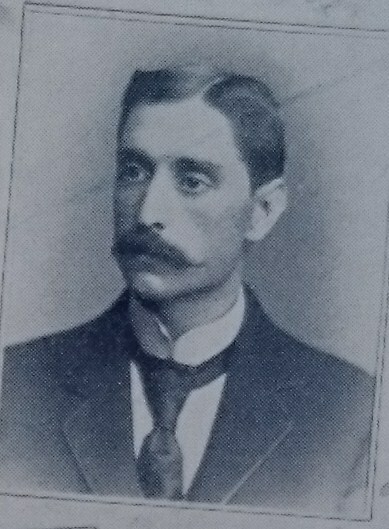 A photo of Herbert from the Centenary Booklet aged about 35. During 1908 the building trade took a dive, even being one of the top Brickyards in the country, it couldn't save Stanley's from the problems. Reginald's pressure as Director grew even stronger and with other board members becoming impatient, they took matters into their own hands. At one of the company's regular meeting they discussed the situation and it was decided that Mr H Murray and Mr W Westwood would take over the running of Stanley Bros. Herbert made the stepped up to Mr Westwood's position as company secretary. One of his first job's was to type up the memorandum (right), explaining the situation to shareholders. Herbert continued in his new job and as the Reginald sold off land around Manor Court Road, Earls Road was built. He moved into a luxurious house known as Manor House on a big plot of land over looking Vernon Lane to the rear. This house was recently up for sale (2014) asking for offers over £425,000. In 1889 aged 23 he had married a young lady from Oxford. They lived in Sparkhill where Herbert was working as an accountant and they had their first child Doris in 1893. 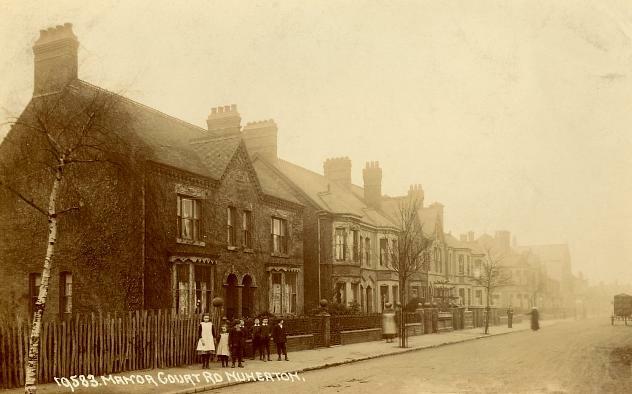 By the 1901 census they had moved to Nuneaton and Lansdowne Terrace, Manor Court Road joining some notable names on this newly formed suburb. Herbert had secured a job as Stanley Bros accountant an important role at one of Nuneaton's biggest employers. He is pictured here on the left in the 1902 Coronation booklet, (a great book showing us the townsfolk of the era in all their glory) and had become an important cog at Stanley Bros head office in Croft Road, in his spare time he was secretary for the Nuneaton Hospital Football Cups Association. While here his family had grown by two. Kathleen and Helen both born during the early 20th Century. This letter was attached to the minute book of Stanley Bros. Thanks to the Warwickshire County Records Office. Within a few years of him moving to Earls Road, Herbert still very much in the prime of his life passed away on the 14th December 1914, aged 49. He was still an employee of Stanley Bros at the time and his death came as a shock to the board. Mrs Greatrorex was given helped by the company and Mr Stroud a close family friend also a Stanley Brothers employee. Mr Stroud became executor and the board agreed that Emma could have 15/0 a week for the foreseeable future. This was then reviewed and 10/10 would be paid till the end of 1917. Details on the Manor Hospital are on its own dedicated page. It has all about the opening of this wonderful building. Please click on the photo below to read more about it. I'm so glad that this building is still in use and that the local community use it for health care , so close to its original use.